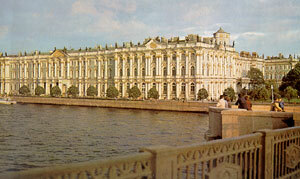 The Winter Palace (the Hermitage). 1754 - 62. Architect B. Rastrelli. Palace Square. 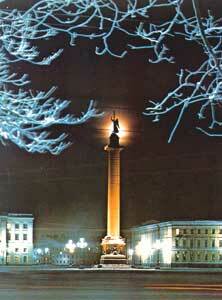 Alexander Column. 1830 - 34, architect A. Montferrand, sculptor B. Orlovsky.